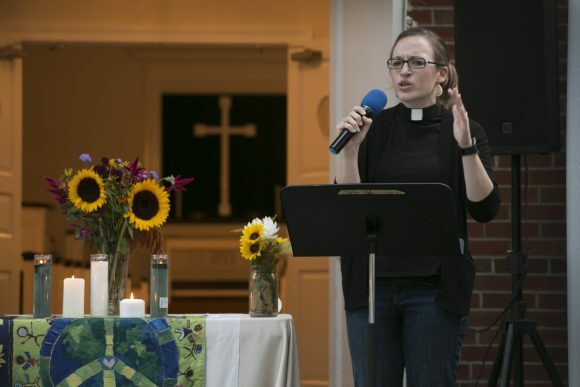 HOPEWELL – In the wake of violence in Charlottesville, Hopewell UMC lived up to its name and became a well of hope for their community. 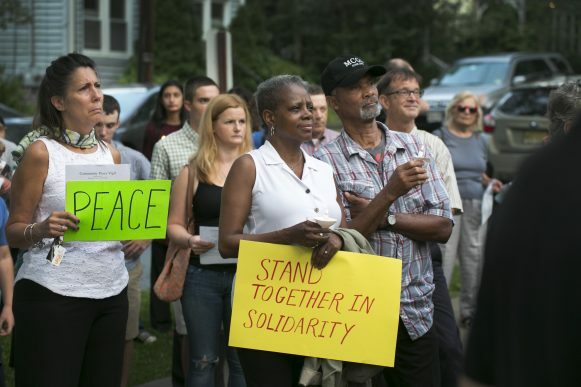 Churchgoers, neighbors, friends, and community and religious leaders gathered on the evening of August 15 for a solidarity peace vigil in the midst of national division, strife, hatred, and conflict. 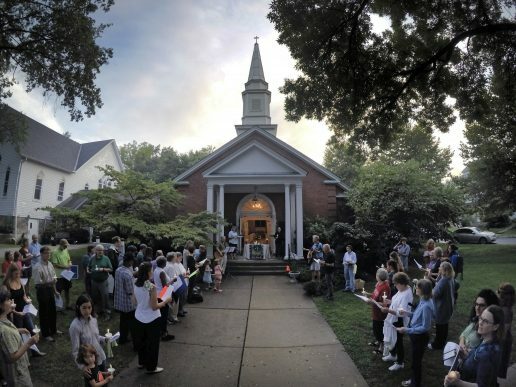 Candles were lit and singing filled the church lawn as gatherers remembered lives lost and envisioned a hope for peace and acceptance. Other local religious leaders spoke about the importance of focusing on love and standing against injustices. Hillis moved many to tears as she lit her candle from one burning on a makeshift altar situated on the church steps. The flame was then passed among the gatherers. Hopewell Borough Mayor Paul Anzano expressed gratitude for designating the borough as a Sanctuary City. Some stepped up to the microphone and shared their stories, including Deacon John Buck of the Second Calvary Baptist Church who proudly described Hopewell as a “small town with a big heart.” Both Buck and Anzano expressed gratitude to the community for attending the vigil. The crowd walked around the block singing songs of peace before concluding the event.